Standing in a corn field, surrounded by the birth of seedlings and rebirth of soil, Brock Gussiaas suspected what no family member or friend realized: He was dying. Chest heaving with labored breath and muscles aching, he walked away from the din of May planting and left behind a crop he would never harvest, slid into his truck and drove home, the fields of childhood fading one final time. The young farmer, 28, moved slowly into his house, sat at the living room table with pencil and paper, and began a grim race against a malady roaring through his veins. Alone, he wrote his final will, left the paper in plain sight on the table, and crawled into bed. Forty-eight hours later, he was gone. When Brock passed May 27, 2014, his death crushed his father’s spirit and rocked a farming family to its core. The loss of an only son and scion of a fourth-generation agriculture operation to an improbable chain of circumstances seemingly pulled from fiction only compounded the tragedy of Brock’s death. Yet, four years later, the demise of a remarkable farmer echoes with the lessons of a life lived to the fullest, and a family intent on pulling hope from pain and maintaining the legacy of a beloved son, brother, nephew, uncle and friend to all. Brock Gussiaas was a champion. Life often pivots on infinitesimally unlikely moments, never clearer than on the afternoon of May 17, at the Gussiaas farm outside Carrington, in central North Dakota. Brock was preparing ground at the wheel of a John Deere 8530, accompanied in the cab by a Jack Russell terrier. During the monotony of a pass, he opened the cab and let the dog run free. Minutes later, it hit a scent, dug out a mouse and appeared to make a kill. Replayed 100 times, Brock would have kept driving and continued working—not this day. He stopped the tractor, exited the box, walked over freshly tilled dirt to play with the terrier and picked up what he assumed was a harmless rodent. The mouse, merely injured, bit Brock’s finger. Concerned only by the inconvenience, he took little notice and walked back to the tractor. Brock continued the tillage runs, unaware a fatal pathogen was charging into his bloodstream, river over a rock, ready to breed infection and move toward his lungs—hantavirus. Spread by rodents via droppings, saliva and urine, hantavirus pulmonary syndrome (HPS) carries a mortality rate of 38%, according to the Centers for Disease Control and Prevention. A pinprick bite from the mouse set the clock running on Brock’s life. He had 10 days to live. Home to approximately 2,500 people, Carrington is surrounded by gentle, rolling prairie. Raised on farmland just outside the town, Brock grew up trailing his father, Roger Gussiaas, through the fields or soaking up business acumen at the Gussiaas seed processing/exporting business, Healthy Oilseeds. 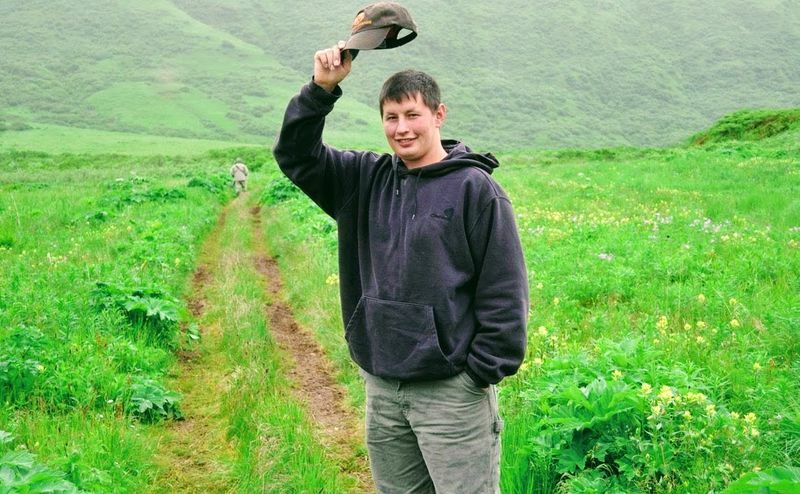 By high school, the entrepreneurial farm boy was gaining steam, and at 15, he started Sunburst Produce: 25 acres of cantaloupe, sweet corn and watermelons tended with a hoe and bent back. Slowly building acreage, Brock considered farming opportunities overseas. Kazakhstan, essentially south of Russia and west of China, is the ninth largest country in the world and an Asian breadbasket. Brock and Roger traveled across Kazakhstan, meeting with local leaders and governors to find the right land and logistics. Setting up shop and physically managing farmland in Kazakhstan became another of Brock’s innovative goals, but it didn’t happen: Instead, May 17 arrived and his health began to fail. Entirely missing the mouse bite and its viral implications, doctors pointed toward overwork and lack of sleep as the medical culprit, and released Brock. He had three days to live. Brock rested until just past Sunday night. At 1:30 a.m., Monday morning, he called Roger and asked for a ride to the hospital. Based on his debilitated condition, doctors suspected a medical issue beyond flu or dehydration, and he was airlifted to a hospital in Fargo. On Monday afternoon, in Fargo, he went into cardiac arrest. “They revived him and we still didn’t realize it was hantavirus. He was so strong and I just believed he would be better than ever in the long run. That’s who Brock was,” Roger says. CDC statistics dated to January 2017, record 728 U.S. cases of hantavirus infection, with nearly all (697) occurring between 1993-2017 (63% male, 37% female, average age 38). Spread across 36 states, 96% of hantavirus cases were concentrated in states west of the Mississippi River. Even more stark, CDC hantavirus data points toward a solemn tally: 36% of cases result in death. One last dose of medicine; one extra machine; one more tube; Brock’s heart gave out Tuesday morning and he passed away. In a flash, on May 27, 2014, the only son of a proud North Dakota farming family was gone. The harsh maxim of anguish is inescapable: All families are either headed into suffering, in the midst of suffering, or exiting a period of suffering. Despite the most painful of losses, the Gussiaas family is weathering the heaviest of burdens, buoyed by Brock’s indomitable lust for life. Farmer, businessman, traveler, coach, pilot, NDSU devotee, friend, uncle, nephew, brother, and son, Brock’s legacy echoes in the lives of the countless people he touched. If character is measured by how a person treats those who mean the least, then Brock was a titan. By all accounts, he understood simple things matter most. As a tiny boy on North Dakota farmland, Brock was his father’s shadow. Forever 28, he still is. Excellent article on a sad story! Thank you to Chris Bennet for writing such an excellent, heartfelt article about Brock and the Gussiaas family.